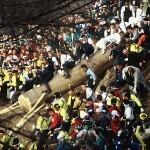 Kyoto is one of the most crowded cities of Japan. 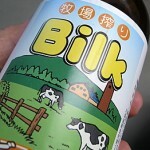 It has more than 1.5 million inhabitants and hundreds of tourists visit the city every day. Not all these tourists know the whereabouts of the city’s sights and important places. Lots of English-language signs are placed all around the city to help foreigners reach their destinations. The central area of Kyoto has the most interesting sights of the city, but the other districts also have dozens of tourist attractions. 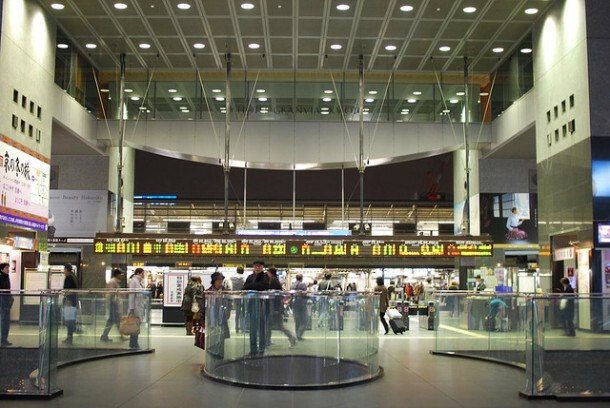 This article will present the major districts and the public transportation of the city. 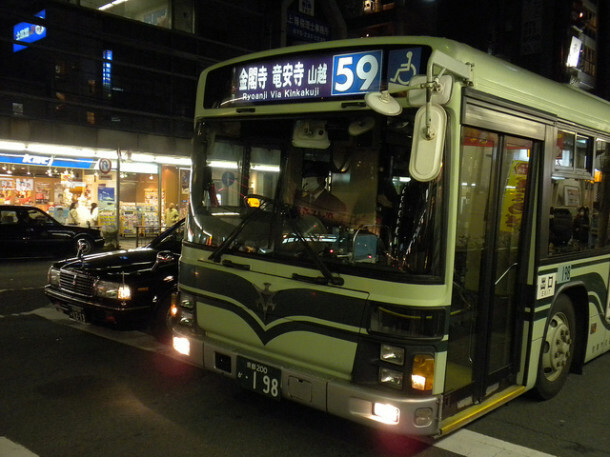 Hopefully it will help the readers’ getting around Kyoto. 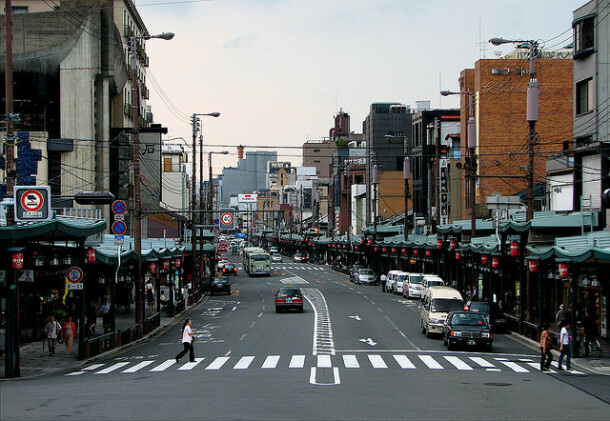 Kyoto has five major districts, all including dozens of tourist attractions. The central area gives place to the Imperial Palace, Nijo Castle, Sento Palace, Honganji Temples and many other cultural places. The central area is surrounded by the other four districts. In the Southern part of the center you can find Kyoto Station, the most important part of the city’s transportation. Arashiyama, or Western Kyoto is an area rich in historical and natural sights. 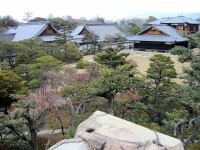 Places like Katsura Villa, Daikakuji Temple, Myoshinji Temple, Yoshiminedera or Kokedera can be found here. Higashiyama (Eastern Kyoto) is situated between Kamo river and Higashiyama mountains. Gion, the famous Geisha district is the most popular sight of the area, but Kiyomizudera, Ginkaku-ji Temple, Sanjusangendo Temple, the Heian Shrine, Maruyama Park and the Philosopher’s Path are also famous sights. The Northern part is famous for its World Heritage Sites and for its old shrines and temples. Kinkaku-ji, the gold temple, Ninnai Temple, Kibune, Ryoanji Temple, Kurama, Ohara Kitano Tenmangu and Kamo Shrines are the most visited places of the area. 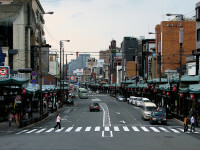 The Southern district of Kyoto covers the place of the former capital. Daigo-ji, Toji, Tofukuji, Byodoin and Mampuku-ji Temples are the most visited sights here. A high-speed rail links Kyoto with Tokyo, Yokohama and Nagoya. These journeys are very quick, the trains can reach the speed of 240 km/h (150 mph). The subway system of the city is not very complicated: two lines provide the transportation between different points of the city. Karasuma Line is marked with K and it is symbolized with green on maps. This line goes from the Northern parts of the city towards South. 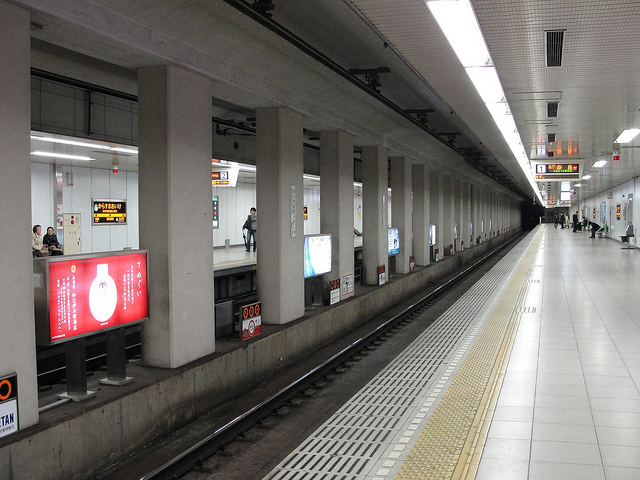 Tozai Line is marked with orange (or red) and with a T. The line runs roughly from East to West. The subways run between 5.30 and 23.30. The minimum price of a subway travel is 210 Yen. Subways are the quickest ways of transportation in Kyoto. Kyoto has a complex bus network. The vehicles of the municipal transport company are signed with a ‘Bus Navi’ leaflet. Other bus lines, which provide tours around the most important sights of the city are also available. The buses usually travel between 7 AM and 9 PM. The taxi fares in Kyoto are the followings: the first two kilometers cost 640 Yen and each additional 500 meter costs 100 Yen. 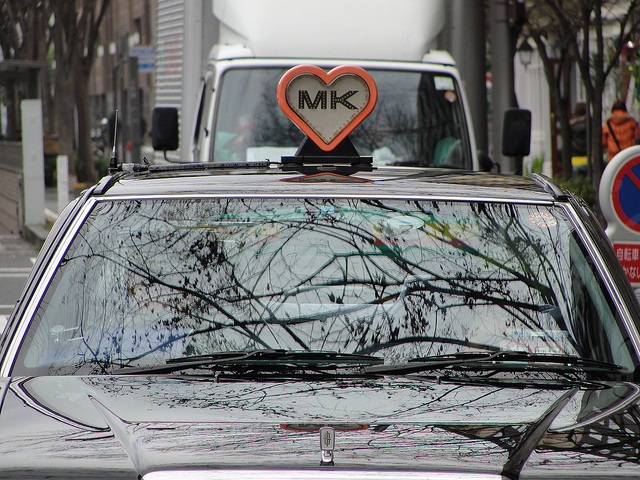 There are 17 taxi companies in Kyoto, but Keihan and MK Taxi are the most reliable ones.